“That’s not fair!” may be the most popular complaint in the history of childhood. Kids seem to notice any real or perceived injustice from a very early age, particularly any injustice that befalls them. Yet how, exactly, does one even define what’s “fair?” The classic work in moral development by psychologist Laurence Kohlberg showed that children through age seven tend to define fairness as “everyone getting the same.” But in reality, fairness is not about all things being equal. Fairness, rather, is about actions and consequences that are right, honorable and equitable. In this month’s newsletter we offer tips, activities and conversations starters designed to help you foster fairness in your kids, as well a recipe that’s muy delicioso in recognition of this month’s Cinco de Mayo holiday. 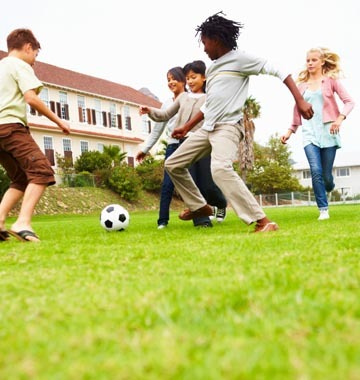 Outline the rules, and be consistent: Children, particularly school-aged kids (ages 6-11), thrive when they have rules, structure and boundaries. Teachers know this, which is why you’ll often see rules clearly displayed in the classroom. 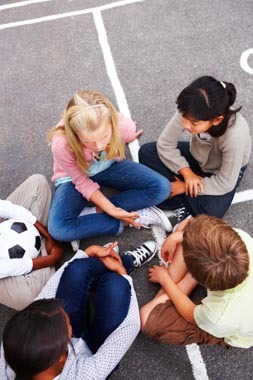 Talking about the house rules and/or writing them down helps let children know what is expected of them. Examples of rules might include “be kind,” “use indoor voices,” or “put your dirty dishes in the sink.” Once you’ve developed your rules together, follow them consistently to avoid confusion. Be a role model: As author H. Jackson Brown Jr. said, “Live so that when your children think of fairness, caring, and integrity, they think of you.” Children pay close attention to how adults follow the rules and treat people. Children will notice when your actions are inconsistent with your expectations of them, so be sure to demonstrate the types of behavior you’d like to see in your kids. Listen to their side of things. Don’t simply place blame and dole out consequences in a reactive way. If a child breaks a rule, we should be thoughtful about punishment, which means addressing the situation objectively and listening to what our child has to say before deciding what to do. Then, keeping fairness in mind, choose consequences that are relevant and appropriate for the situation. Empower them. The more we talk about what’s fair vs. not fair with tangible examples, the more we empower kids to make these distinctions on their own. Point out times your kids or their friends demonstrate fairness, and ask questions such as “was that fair?” and “why or why not?” As children get older and their brains develop, share more sophisticated examples of injustice for discussion, such as those available in our Conversation of the Week blog. Fair, but not equal. Issues around fairness come up often with siblings. We’ve all heard the complaint, “Not fair! She got more than I did!” While it’s easier to simply equalize things to keep the peace, this is not the best strategy. 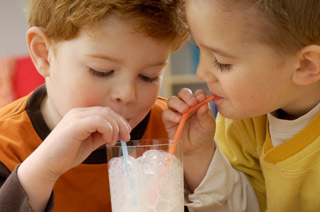 Treating siblings “fairly” really means that everyone gets what he or she needs. A good way to think of it is, “fair, but not equal.” A good book for younger kids that reinforces this message is Looking after Louis by Lesley Ely. We’ve got some big news over here at The Family Dinner Project! We’re currently working on revising the Recipes section of our web site to more specifically address the challenges families face in getting dinner ready, and to simplify the process of finding just the type of recipe you need. All of our offerings will now require no more than eight main ingredients, take no more than 30 minutes to assemble and, as always, will be healthy and kid friendly to make and eat. Our new categories include: One-Pot Wonders, From the Pantry, Befores and Afters, Comfort Food with a Twist, and Build your Own. We’ll let you know as soon as they’re up on the site! 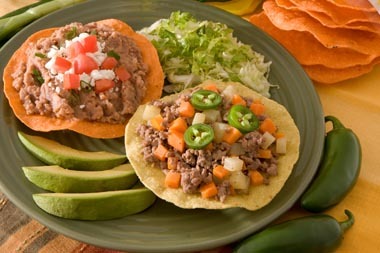 This month’s scrumptious tostadas recipe comes from our new Build Your Own category, which helps parents manage the unique tastes and preferences of individual family members at dinnertime. We originally chose this recipe in recognition of this month’s Cinco de Mayo holiday, but then we realized: What better way to also exemplify “fair but not equal” when it comes to food? With tostadas, everyone gets access to the same ingredients, but each person gets to pick only the ones that he or she wants. Perfecto! Heat oil in a heavy skillet on med/high heat. When oil is hot (a drop of water immediately sizzles), place one or two tortillas in the pan. Turn them over soon after adding to the oil, and every minute or so until crisp slightly browned. Each tortilla should stay in about 3-4 minutes. After removing tortillas from the oil, lay them on a paper towel to drain. Heat beans on low heat; stir frequently. When beans are hot, spread one or two tablespoons on each fried tortilla and place bean-covered tortillas on each person’s plate. Arrange lettuce, tomato, cheese, salsa and any other condiments in bowls and let your family members create a masterpiece! Rules don’t have to be boring. First, make a list of the values you want to inspire in your kids and then let them cut out photos from magazines that demonstrate these qualities (such as a picture of one child sharing with another). Or spell out the words with cut-out letters that your child can help to glue to the poster. Remember: There are no rules when decorating your rules poster – so be creative! Here are some examples for inspiration. By engaging your kids in “making” the rules, they’ll feel a greater sense of ownership in following them. Fair or Not Fair? That is the Question. You drink the rest of your friend’s lemonade when she is not around without asking because you plan on making more for her later. You get help from your mom in doing your math homework, then get the best grade in your class and earn a prize. You play on the soccer team and because you are better than your teammates, the coach puts you in more. You and your little sister play with Legos but your sister cleans them all up. In a Quandary? Play a Game. 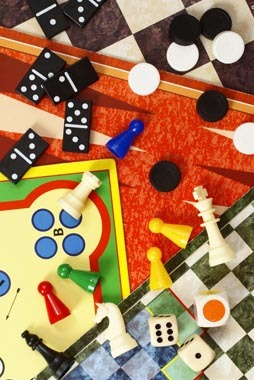 Playing simple, old-fashioned board games with your kids like Candyland or backgammon can offer many teachable moments regarding how to follow rules, take turns, play fair, be honest, and accept defeat graciously. In addition, Quandary, a free video game that parents and kids can play together, encourages your child to solve difficult problems as he or she leads a new colony on the planet Braxos. In Quandary, players make difficult decisions in which there are no clear right or wrong answers, only important consequences – to themselves, to others in the colony and to the planet. Learn more and play the game here. Here are a few fun and simple conversation starters to get your family talking about fairness. How does daddy or mommy show fairness at home? Or how does your teacher show fairness at school? How do you feel about sharing? Do you like to share? Why or why not? Do you like when other people share with you? Why? If you had three cookies and five friends, what would you do to make it fair for everybody? Can you give an example of a time you saw a friend, family member or stranger being treated unfairly? What did you do? If you can’t think of a real example, what might you do in such a situation? Unfortunately, there are lots of examples in the media of politicians, sports figures, businessmen and others acting unfairly. Can you think of someone you admired who acted unfairly? What did they do? (If you need a specific conversation starter, here’s one). How did this change your opinion of them? “Injustice anywhere is a threat to justice everywhere,” said Martin Luther King, Jr. Have you ever taken on an injustice in your community or in the world? What was the issue, and what happened? Can you think of someone from your own life who demonstrated acts of great fairness? In what ways did he or she do this? At this point in life, do you believe life is or isn’t fair? What has made you feel this way?